Image: UAS have already proved their value in many industries and across various applications. Photo courtesy of StockSnap/Pixabay. In February, British defence secretary, Gavin Williamson unveiled his plans for investment into swarms of mini-drones that have the capability of jamming the communications of enemy air defences. Delving into the new defence kitty of £1.8bn, around £7m of that will be reserved for new network-enabled drone squadron technology, which should be operational come the end of 2019. To further enforce this progression toward drone swarm technology, the Defence and Security Accelerator (DASA) has awarded £2.5m to a consortium led by Blue Bear Systems Research Ltd to develop drone swarm technology. The DASA has awarded its largest contract to date, the ‘Many Drones Make Light Work’ project, funding will cover the cost of developing 20 unmanned aerial systems (UAS) into the final stage of development, which will then be taken over by the Defence Science and Technology Laboratory (Dstl). UAS have already proved their value in many industries and across various applications. However if the potential for cooperation and collaboratively operating was to be achieved for these systems, this would prove to be a great advantage to the UK defence sector. 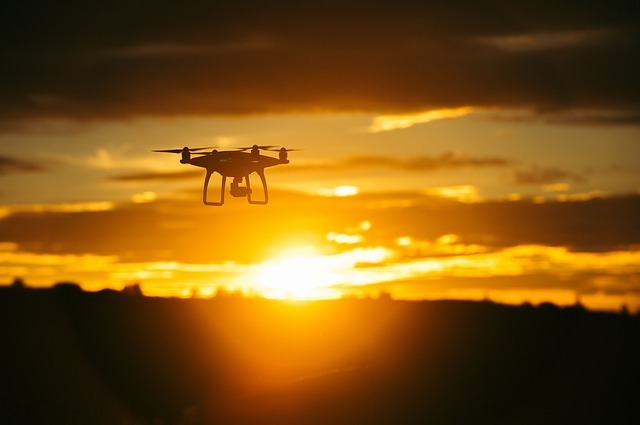 A swarm of UAS comes with a growing list of benefits, some of which include the reduction in operating costs, where menial and laborious tasks can be automated and carried out effortlessly. In addition to this, as with any other autonomously operating robot or device, the level of efficiency raises as well as resilience in areas such as situational awareness, medical assistance, logistics resupply, explosive ordnance detection and disposal, confusion and deception, communications, and risk-free maintenance. The drive behind investment in swarm drones is due to the potential advantages this technology possesses. But beyond that, governments are concerned that the low cost of the technology will leave them vulnerable to asymmetric attack. The head of DASA, Lucy Mason said: “I am delighted that defence funding has enabled the creation of collaboration from across industry sectors that will evaluate the latest thinking in swarming drone systems. We are committed to driving innovation through creating partnerships and collaborations, harnessing the best ideas and innovative thinking for UK defence and security”. Operating as system integrator, Blue Bear Systems, an autonomous and unmanned systems supplier, will take the role of consortium lead, working with IQHQ, Plextex, Airbus and the University of Durham. Blue Bear has a history of working in the defence sector for 14 years and has experience with product offerings across both the aerospace and maritime markets. Work will be carried out over 18-months, concluding with live flight demonstrations to the military. At present, an operator is needed to pilot the aircraft or monitor and manage the flight mission; with the use of swarm intelligence the system can operate autonomously. One of the objectives of the project is to reach the point of self-sufficiency of the UAS swarm, adding a flexible capability to the military, allowing it to operate within complex and contested environments.